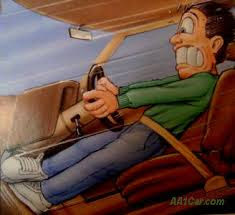 This here project was born out of sheer frustration and, sometime later on........ DESPERATION. 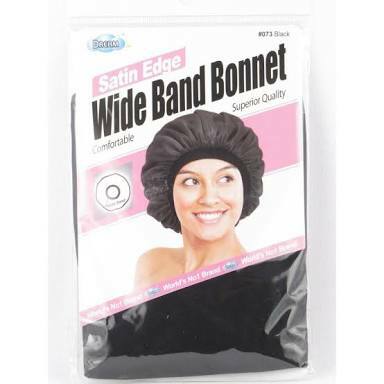 Lemme explain, first, the frustration: If you are on any type of hair journey whether your hair is relaxed, texlaxed or natural, you have probably heard of the benefits of keeping your hair wrapped up at night with a satin or silk bonnet/sleeping cap. "so.....i'll go to sleep looking like this? SCORE!!!!!!!!!!!!!!!!!" is the thought that runs through your mind as your shell out the amount at the register. 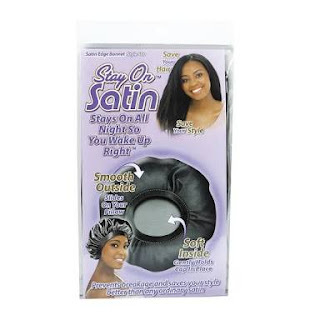 what comes out of the package has nuffin to do with how the bonnet actually looks, like, seriously............can the fabric truly be called satin, like, isn't that stretching the word S-A-T-I-N out a lot, A LOT A LOT??????????????????? But you see other hairlistas using it so you keep quiet and follow suit. 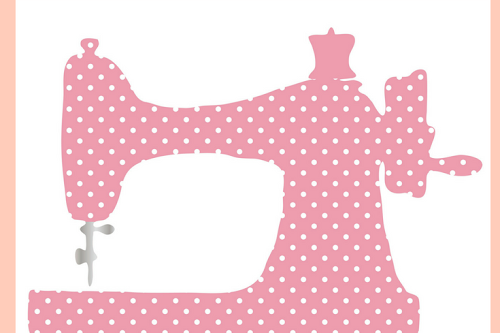 The DESPERATION part is a whole other story that my fellow seamstresses will understand but just in case you stumbled on this blog but don't sew, I'm gonna tell it. There's a hashtag going on on Instagram that started at the beginning of the year by the lovely Lucille called #2017makenine (there was also one last year that I missed) do explore the tag if you can, these seamstresses create absolutely beautiful things. Anyways the premiss of the tag is to create nine things of your choice in the whole year, good said I, perfect said I, easy said i............. home many things from that list have I made I hear you ask. TWOOOOOOOOOOOOO, just, two........... next thing I know, I'm staring at November, where did the year go? As you can probably guess, panic and desperation set in, I decided to do one more thing from the list, which (drumroll plssssssssss) was this satin bonnet which was super easy. Thank God, three is better than two, NO? 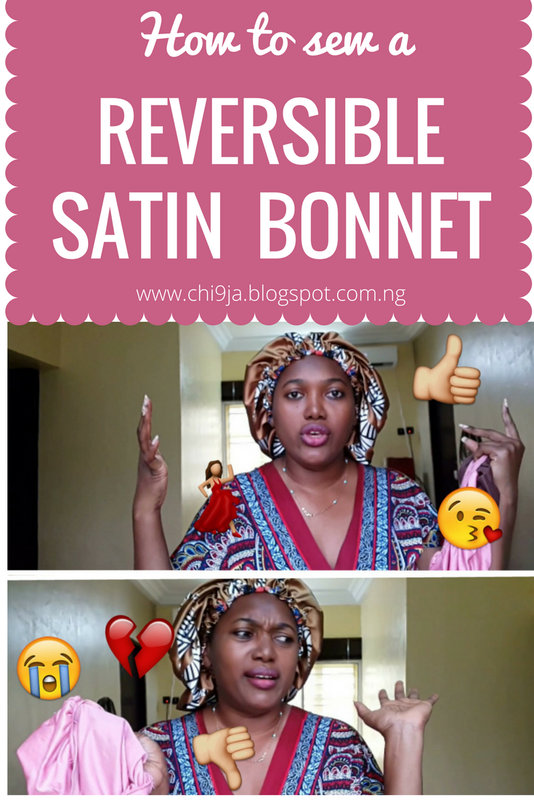 So here is the tutorial for an actual satin bonnet AND it's reversible........BONUS POINTS. 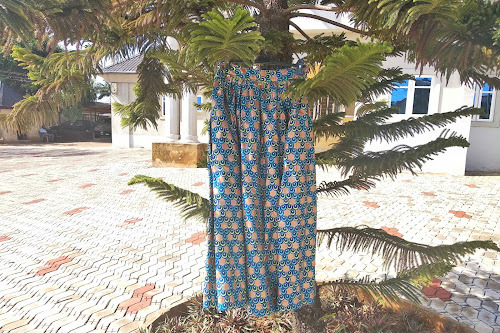 On the flip side some ladies have been stepping up the hair bonnet game for a while now, the first I ever heard of was Bonboncheveux then recently I have been seeing some fly Ankara bonnets by Isoken Both of these brands have lots and lots of reviews on youtube, do check them out. And if you know of any other places to buy actual satin bonnets, do share in the comments.